It’s that time of year again. Everyone you know will start talking about their “New Year’s Resolutions”. With great intentions, everyone will make a list of what they plan to do that will make this year different than every year before it. Be careful though, studies have shown that 3 out of every 4 people, yup that’s 75%, give up on their resolutions within three months! If you don’t want 75% of your group to give up on their resolutions, read on for simple tips to help avoid falling into this trap. Anywhere from 2-4 people is suggested. Can be family, co-workers, classmates, etc. 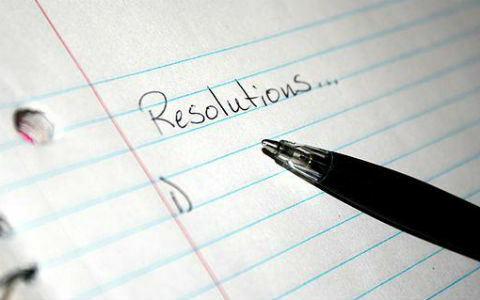 We suggest that you pick resolutions that you can all agree on. We also suggest that you only pick 3-5 resolutions. Once you’ve chosen your team resolutions, make a plan for implementation. Trying to take on all of your resolutions at once may be too difficult. Make a schedule and set goals. Make sure your goals are SMART (Specific, Measurable, Attainable, Relevant, Time-bound). This is the key step! This is why so many people fail with resolutions. It’s so easy to tell yourself that you will just go to the gym tomorrow instead (which in my experience never happens either!) If everyone has the schedule and goals documented and you check in with each other regularly, you are far more likely to succeed. Step 5: Stop waiting for the new year to get better! Something we say a lot of at the Dynamix office is: “The day we stop trying to get better is the day we start getting worse.” It always puzzles me that so many people are only going through this process once a year when New Year’s comes around. It is critical that you and your team evaluate your progress and adjust your goals throughout the year. What you thought might be best in January may no longer be relevant come May. Start by setting 4 dates in the year that you will check in with your team and re-evaluate your resolutions. Good luck to you and your ‘team’ in your quest to achieve excellence!